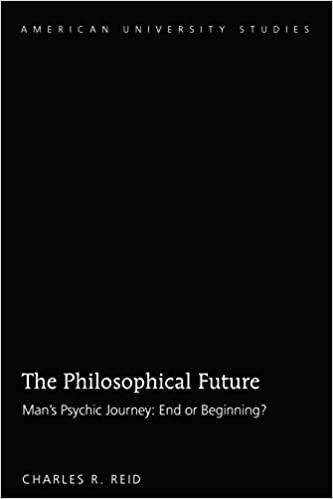 The Philosophical Future discusses the social and psychological challenges facing people in the 21st century. Why was this an important book for you to write? Man is of course a creature of needs, which are easily misunderstood and in a confrontational world often taken by the individual as absolute imperatives. Violent actions and reactions, and more broadly aggressive behavior in general, tend to satisfy only, and too often, wrongly perceived needs of an instant. Long-term consequences are imprudently ignored. But it is too late as a rule to correct the mistake. To avoid this familiar trap, nothing avails save the self-aware use of individual will — a learned capability — to survey each situation as it arises, and then rationally decide on and carry out a plan of action (including non-action) suitable to the circumstances. In an overly crowded world, and given today’s climate of festering person-to person and group-against group hostility, however, nothing appears to succeed other than violence or a threat of it. Whatever deprives the “other” of his ability to remain a self-respecting combatant can be employed. This wholly negative world view leads down an unsustainable road — in fact to social chaos. Calls for meaningful change fall on mostly deaf ears. They do not convince. Nonetheless, the burden for positive change rests with individual minds. Such social unanimity as does occur is forced, and unless or until enough self-discipline takes hold in individual minds, and without coercion, this millennial consummation seems just as probable as another.. This book was written with such global issues in mind. Its significance lies in the message which it conveys to minds honestly aspiring to achieve a personal knowledge of what they may expect to encounter in the way of social, psychological, and moral trials in years to come. You have an M.A. from the University of Wisconsin and an Ed.D. from the University of California, and you taught at many different schools. How has this experience helped you write this book? Teachers, much akin to dispensers of religious doctrine, today more than ever share a burden of communicating to students more than mere facts or supposed facts originating with cultural authority. The effective teacher has also himself both learned and understood the “material” of his lessons. Even so, automatic transfer from one mind to another is a misconception. Not all learning experiences can be summed up in this formula. Even the substance of what there is to be learned erodes in this migration. The basics of language and social skills can of course never be taken for granted. This includes all knowledge that can be reduced to a common parlance, including number, letter, names, places, dates, and even some rules of interpersonal behavior. The tyro can usually master this domain with aid from a teacher who himself studied and retained not only the rote aspect but some of the life-value of its content. Still, more than ever beyond this one needs certain more fundamental elements to make his way in life. Most individuals, sadly enough, while they do achieve a grasp of these lesser aspects of behavioral competence, fail to move past them. Even many teachers may not learn to question themselves, to seek beyond their already memorized data base to explore the deeper significance of being human. For all further, higher knowledge, the kind needed to live with meaning, though built on a firm foundation of “the basics,” requires a yet greater step, and the true teacher recognizes this. All such higher knowledge demands a learner, as well as his teacher, who together strive for genuine understanding — so that each of them in the web of his own experience questions both himself as well as the “why” of things, basic and abstract alike. I think this book does a fantastic job of delivering complex ideas in an understandable and meaningful way. What do you hope readers take away from your book? To those whose developing interests include a genuine curiosity about conditions of life over the longer tomorrow, and assuming they are looking for an unvarnished view of today’s global scene, with some adumbration of what lies ahead, this book aims to provide some, but not all, and never absolute, answers. It is not indeed a prediction but an advisory. It deals only with the possible, in an age of few if any certainties. Most young people, but also readers in general, tend to live on two levels of thought: On one hand they have a vision of society as some kind of mechanical entity; its fundamental workings go on at a comfortable distance; unless one becomes caught in their legal entanglements, they can be ignored. On the other hand, when society calls on them as individuals to participate actively in its formal activities (such as jury duty), thought and intelligence must be brought to bear; even so, the passive state of mind dominates. Typically (even in the jury room) one follows the herd. For this typical reader this book then cannot help but sound a wake-up call. Neither mechanistic nor presumably-more active approaches to life in society in fact suffice. Knowledge of the whole and of its salient moving parts and of one’s own capabilities for adaptation to the turmoil of future existence — these will be key to genuine success in the art of living. Where do you think society is headed and what can an individual do to ensure they are successful in that future? The question of where society is headed and how it is likely to get there cannot be answered without giving thought to the individual’s plasticity of character and his motivations as a moral being. If individuals en masse pay no heed to what serves the common good, then the way forward becomes rife with predictable social decline. But this view overemphasizes the dark side. Neither man’s overall world outlook nor his web of relations in a complex environment ever reduce to a simple unidirectional pattern, at least in the short run. History reveals one singular truth: In its gradual development, and often without conscious control, society “fixes” some problems, analyzes others without acting on them, and simply ignores those it cannot deal with. So we cannot rationally envision either a future utopia or dystopia. There is no end-point. The real wild card remains the “average” individual’s capacity for directing his powers either to improve the common good along with his own sense of social stability, or to give way to mental and moral negation, with destructive results in society. Men are not prisoners of history, as is often claimed. But there is just so much any generation can do in a practical sense to unleash itself from on-the-ground conditions and the relatively passive state of mind it inherits. Revolutions come and go, yet underlying capabilities cling to their natural limits. The process is slow, unseen, and does not involve conscious volition other than to a limited degree. So the likeliest condition of society a century hence, barring an atomic or planetary disaster, will represent in essence only a repetition in substance (though not in detail) of what have been the commonplace evils of our time: over-population and consequent mass poverty; ever increasing global hysterias; police-state governments; continued lack of education and subsequent bewilderment over how to live a meaningful individual life in a complex and demanding environment. The true individual may disappear as this process works itself out. Yet fortunately, his eventual reappearance cannot entirely be ruled impossible either. And how this unresolved dichotomy is then resolved will make all the difference. This book surveys the breadth of mankind’s postmodern malaise, which is achieved through a discussion of the major challenges, social and psychological, which every individual faces in the effort to live fully in the twenty-first century. These challenges lay in broadly familiar domains: self- and group-consciousness; common man and his place in a future society in which mental activity dominates; work and leisure; knowledge and values accruing from it, both for self and others; possibilities in education; civilization, with its “Dark Age” phenomena and its dreams of progress; the role of the past in contemporary life; and power, both in society and within the sovereign individual who, though bound by physical and intellectual limits, functions as a seeker after the freedom and self-fulfillment which are so wholly integral to the human condition. And finally a serious question: What fate awaits the perpetual non-conformist, whose views, however unwelcome in his own time and in a contemporary environment, may in fact anticipate future living conditions? 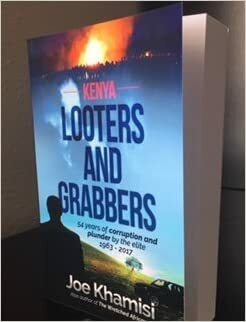 Looters and Grabbers, 54 Years of Corruption and Plunder by the Elite by Joe Khamisi is a detailed account of the historical and contemporary corruption plaguing the African country of Kenya. It details corruption from the highest levels of government down to average citizens. Each chapter is dedicated to a specific theme of corruption spanning from 1963 to 2017 and encompassing four presidencies; Presidents Jomo Kenyatta, Daniel arap Moi, Mwai Kibaki, and Uhuru Kenyatta. I started this book thinking there would be some kind of a silver lining at the end, but there isn’t one. What you’ll find is a detailed account of the pervasive corruption that is literally everywhere in Kenya. Time and time again it’s shown how corruption is despised by all but is undertaken at every opportunity. It seems that anti-corruption is the political rallying call, but profit is always the underlying goal. This is a historical book in that it does describe the rise of four of Kenya’s presidents, Kenya’s independence from Britain, and the development of Kenya’s modern government, but it does all of this with a focus on corruption; from it’s inception into it’s many manifestations in every part of Kenya’s government. One thing that I learned is how corruption in Kenya is not a local affair, but a global enterprise. European, Asian, and Western countries have had their turn profiting from corruption in Kenya. One thing I did enjoy was how we get to see the country develop, through stories of corruption, into modern times. We go from President Kenyatta who is the first president when Kenya receives its independence from Britain, to president Uhuru who its noted as having a large Twitter following. At one point even mentioning Paul Manafort and his company helping the Kenyan President resuscitate his global image. This is a good book for those interested in history, African culture, political science students, and most of all corruption. If you’re interested in learning how corruption is instituted, contributed to, and perpetuated, then this book is a master class in delivering specific examples. What concerned me the most after reading account after account was that, as the author states, these are the corruption cases that we know about, and have been documented or reported on by the media. I’m sure there are plenty more that we don’t know about. This book is exceptionally researched with a wealth of references. Joe Khamisi has done a fantastic job turning a list of corruption cases into a linear narrative that is compelling and thought provoking. 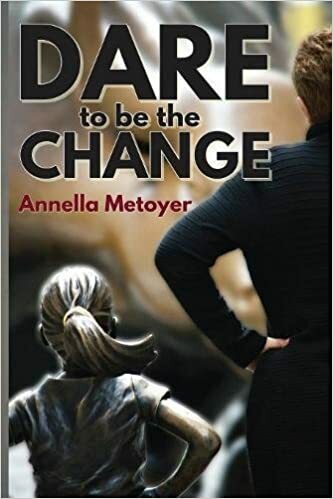 Dare to Be the Change, written by Annella Metoyer, tells the story of Annella’s life and how she overcame adversities to be the change she wished to see in the world. Annella faces a world of segregation and judgement based on the color of her skin, but is determined to push through the racism and have people see her for who she truly is. This begins a world of firsts for Annella, from being the first colored cheerleader to the first woman of color to work in her local bank. Her life journey will inspire, and enlighten you as you learn what it takes to make a difference in the world. Growing up in a small town of Louisiana, Annella lives in a time where racism was prevalent in the community. With society segregating everyone into two groups of “colored” and “white”, Annella struggles with her identity. This segregation continues throughout all of her schooling years; however, it was several teachers and adults in her life that showed her that she didn’t need to accept the injustice and inequality that society expected her to endure. I admired the relationship Annella had with her parents and in particular the strength and support her father showed her throughout her life. Rather than allowing racism to control their lives, he would take a stance and voice his concerns about the unfairness of how children were treated due to the colour of their skin. He was also the instigator of her career as the first woman of color at a bank, forming the pathways of her strength and persistence for change. Dare to Be the Change enlightens the reader with racial situations or expectations that show an unfair and unjust part of our history. Conditions such as separate school buses or being unable to enter a cafe through the front door if you were colored seem like a preposterous idea, but sadly they were the real-life situations that people had to endure every day. 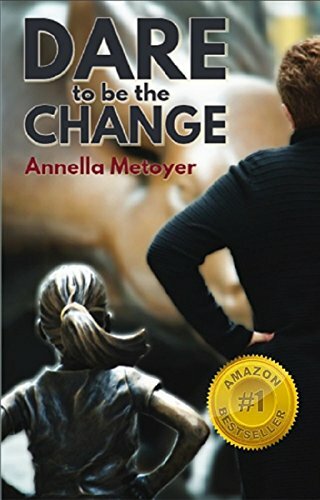 Throughout the story, you can tell the author Annella Metoyer radiates a certain positivity and gratitude that I believe led her to achieve so many significant changes. There are times where she could have relished in the negativity, but instead, she talks about the positive people in her life that helped her grow and become more confident as a woman. Annella’s endurance and strength to stand up for what is right is a trait to be admired and one that we don’t often see in the world. Annella’s hard work ethic and ability to prove herself in her career is just one way she initiates change as she begins to show others that there is more to a person than the color of their skin. I would recommend this to anyone looking for an inspirational story that will motivate you to be the change you wish to see in the world. Have you ever wondered what Chakras are and how they can impact your well-being? Teresa McCallum has written a book that is the culmination of years of research, personal experiences, and learning from experts. McCallum is a registered nurse that has spent many years working in the mental health field and has the educational background to back up her findings using these non-traditional methods. In Finding Balance and Forgiveness Through Chakras and Art you will discover what the seven Chakras are, where they are located, how to determine if it is blocked, deficient or in excess of energy and how to correct it so you can bring your body into balance. 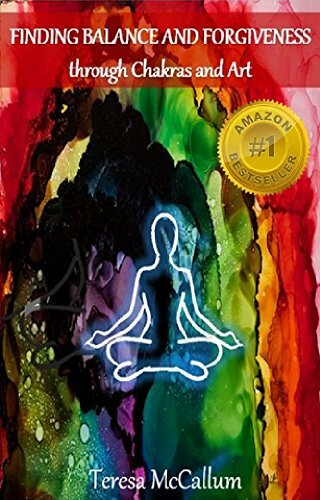 In addition to providing readers with information on the Chakras and how to balance them, she gives readers real life examples and stories. Many from her own life as a nurse, and her own personal experiences. Walk through any book store or brows online and you will find thousands of self-help books. One of the different aspects of this book over others on Chakras is the incorporation of art in all stages. Teresa McCallum offers up methods to incorporate specific forms of art for each Chakras to help you find balance. From working with clay to dance and performing arts, there are an abundance of suggestions on how to use art forms to focus your mind and body to heal your Chakras. There are examples of art, and there are diagrams and instructions for the recommended yoga poses. It is all organized with plenty of quick reference charts to refer back to. I particularly love the silhouettes drawings of the yoga poses, they are simple and uncomplicated and make it easy for me to see how the pose is done. For more complicated one there are instructions as well as recommended breathing techniques to go with them. I found most of the stories helpful in understanding the purpose of each of the Chakras, though a few felt drawn out longer than needed. 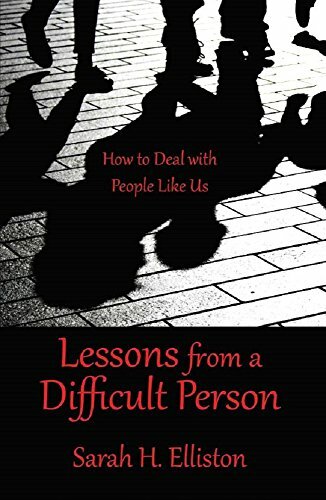 You can tell the author has a great passion for helping others and the people she chooses to include in this book mean a great deal to her. 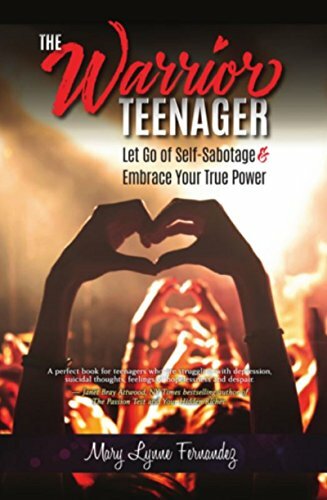 Sharing of her personal struggles, especially her cardiac arrest, make her relatable because she shows how her life took such a drastic downfall and what she needed to do to heal. Finding Balance and Forgiveness Through Chakras and Art is a great reference for those new or old to the study of Chakras and self-healing. It is inspiring to learn to detect all the symptoms in your body and trace them back to an origin. What I appreciate the most in this book, is that Teresa McCallum doesn’t promote ignoring traditional medicine and the advice of doctors. She encourages the use of Chakra balancing in addition to getting medical treatment when needed. It is refreshing to see that the two worlds can be combined. I recommend this book for anyone curious about Chakras and how this can improve their day to day life. 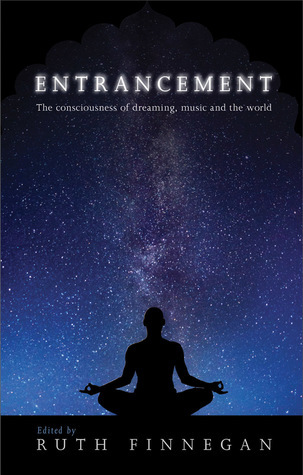 Entrancement is a collection of essays from educated professionals with different viewpoints on the topics of dreaming, trancing and the collective unconscious. What inspired you to write this book and bring all these different fields together? First of all, my own extended experiences over several years of a kind of heightened consciousness in dreaming, ‘musicking’ and of, somehow, communicating with others both near and far away outside time and space. This is described in the first chapter (my own) of the book: ‘There’ (an essay which earned an award from New Millennium writing). Second I was further inspired by following this up in wider reading and discovering that not only in anthropology (my own discipline) are such things starting to be seriously studied as something of here and now, not just of supposedly strange folk far away or long ago, but also in innovative, if as yet unconventional, scientific thinking. Remarkable. There are now huge numbers of best-selling books by hard-nosed scientists inspired by Einsteinian thinking and, for example, quark theory on, for example, telepathy, dreaming, the consciousness of the universe, life after death and communication – long known and accepted – between dead and living. The book begins with your own experience on trancing. What is ‘trancing’ and how did that experience happen? Too long to answer properly here – read the account in the first chapter. ‘Trancing’ is a good concept and nearest to what I and others have experienced. It does however give a somewhat too explicit and, as it were, contrived and deliberate impression. Better to say the experience of somehow being outside time and space and seeing more clearly than in ordinary life’ (though it is there too, hidden). One major problem indeed (discussed in the concluding chapter) is the absence of an accepted terminology to describe such things. You bring together experts from many different fields in this book. Were they as enthusiastic about this book as you are? YES. Both in taking up my initial invitation, in responding to it in their own terms, in the writing and, now, in receiving the finished volume. Look for the hidden in your own everyday life, find the extraordinary in the ordinary and vice versa: in music, in dreaming, in the miraculous workings of the great world around us. Open your mind – so easily closed by the undoubted but limited insights of the scientific revolution – to what is beyond. This powerful, ground-breaking study of dreaming, death, music, and shared consciousness brings together a staggering number of fields to explore what we know about dreaming and its interactions with other forms of consciousness. Setting a humanistic, evidence-based context, Ruth Finnegan engages with anthropology, ethnomusicology, sociology, psychology, parapsychology, cognitive science, and more, building a strikingly diverse base of evidence and analysis with which to treat a subject that is all too often taken lightly. Entrancement will quickly prove indispensable for anyone studying these altered states of consciousness and what we can know about how they work and what they do for our minds, bodies, and selves. If you’ve ever wondered where your mind goes in those moments when you’re not quite awake or when you’ve been staring out the window for just a tad too long, you will find some clues to an answer in Ruth Finnegan’s Entrancement. This collection of essays from educated professionals will expose you to different viewpoints on the topics of dreaming, trancing and the collective unconscious. Fashioned the same way a textbook might be, readers will gain insight into various hypotheses on what happens to our minds when we enter these states. Exploring the world from a slight occultist view, readers are privy to personal stories from professionals in the field of the social sciences who have backed up their personal experiences with data and sources. Investigate how music and dreaming contribute to artistic expression; identify your own personal cues and what might draw you into a trance. Finnegan begins with her own personal experience with trancing. During her sections at the beginning and the end of the book she uses language that is friendly for non-academic readers. The same can be said for all of those who have contributed to this piece. By using common language, Finnegan has opened up the potentials for her audience. Anyone who is interested in this topic will find useful information within its pages. There are some typos in the book which were distracting in such a highly educated piece. But the errors are few and can be easily forgotten. The presentation of the book leaves a little to be desired. The table of contents could use some formatting and the pages between essays could have been laid out better. These are all minor things, but they impact the reader experience. It is interesting to read a collection of essays on a somewhat supernatural topic that is rife with research. For someone who is studying psychology or the other social sciences, Entrancement by Ruth Finnegan would be an excellent resource piece to read. The abilities of the mind have been studied for decades and we are no closer to unraveling the secrets now than we were in the beginning. If you’re a beginner doing preliminary readings or research on this topic, you will find this book useful. The content is not only useful, but the suggested readings in the back open up a whole library of future readings. For those who hunger for more information, who want to explore this world and our place in it, this is a delightful bonus.